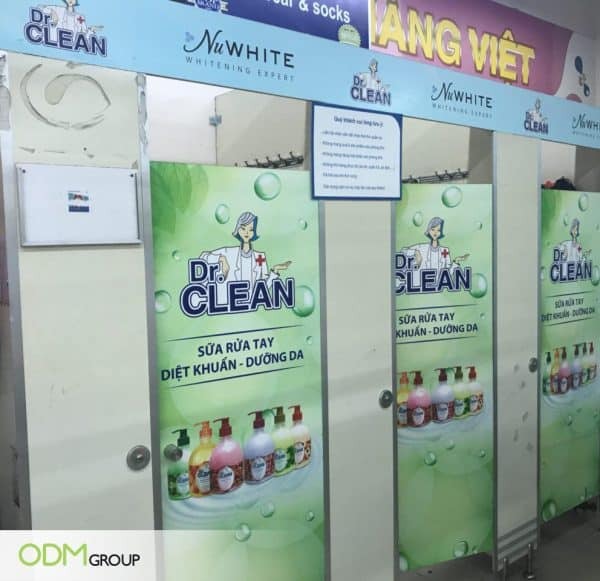 An ingenious promotional poster design by NuWhite to garner attention from wandering consumer in Co.op Vietnam! Families or friends who are waiting outside for their loved ones or peers will certainly be drawn into reading the information on the custom display door. With just a quick glance, consumers will definitely know what products are currently newly launched or on promotions. 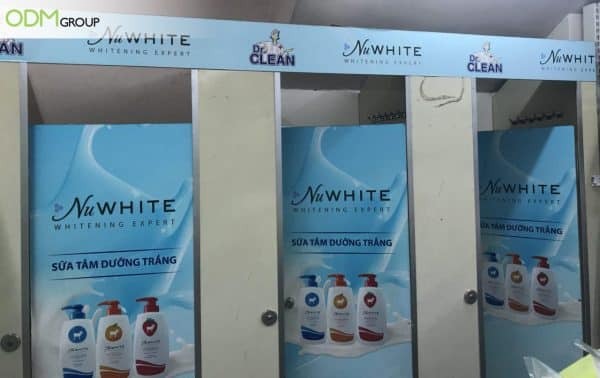 The other set of doors portray another line of products by NuWhite! By using different colors, it helped to add variety into overall promotional banner design. Moreover, the logo of ‘Dr. CLEAN’ is large and captivating! Why Should Brands Adopt Similar Promotional Poster Design? Promotional Canvas Bag By Corona – A Discounted Offer For Customers! Simple yet Attention-Grabbing: The repetitive designs across 3 doors help to instill brand recall. Midst of the hustling crowd in the supermarket, the colors, blue and green, have a soothing effect on consumers. Especially for such a happening crowd, it is a good tactic to have contrasting moods to attract attention! Customizability: Being customizable means your brand has a higher advantage over competitors. The creativity in design will, therefore, showcase brand image and increase brand awareness. To effectively reach out to consumers is very important in order to garner support and loyalty. At ODM, we also specialize in product designing, brand design packaging and manufacturing high-quality personalized promotional products. We have a team of product designers and merchandisers who can help you from product brainstorming session all the way through the actual sampling and production. Send us an inquiry today! Promotional Design Banner Spotted At Bus Stop Stand! Catchy Promotional Banner Design: How Red Bull Raise Brand Awareness! Collaboration Between Coca-Cola & FIFA!